Frank Darabont Will Take On ‘Godzilla’!!! Director Frank Darabont has just been tapped to do a final rewrite for the upcoming ‘Godzilla‘ remake for Legendary Pictures. Darabont will be working off a treatment by Max Borenstein (The Seventh Son). This is awesome news. The guy who directed ‘The Shawshank Redemption’, ‘The Mist‘, ‘The Green Mile‘, and was the showrunner for AMC‘s ‘Walking Dead‘ will take on the giant lizard now. I can’t wait to see where he takes it for director Gareth Edwards, who directed one of my favorite films of 2010, ‘Monsters‘. It’s not all good news though. Dan Lin and Roy Lee, who are producers, came to Legendary with the rights to the film, but are now in a big battle with the studio execs, which want to drop both of them from the project, and add their own people according to Deadline. 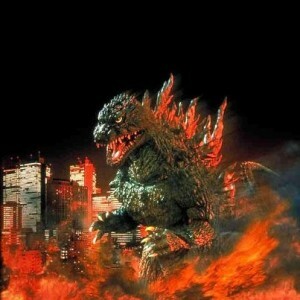 This new ‘Godzilla‘ remake will be in 3D and already has a release date of May 16, 2014, but if this thing goes to court, it might be delayed indefinitely. Let’s hope that’s not the case, because this has BADASS written all over it. I wonder if Darabont will put zombies in his ‘Godzilla‘ treatment? I can hope, but I doubt it. Your thoughts? Here’s the First Trailer to ‘Rogue One: A Star Wars Story’! The New ‘Godzilla’ Trailer is AMAZING!!! Bryan Cranston and Elizabeth Olsen Might Join The ‘Godzilla’ Reboot!!! This entry was posted on Monday, January 7th, 2013 at 11:59 am	and is filed under Film, News. You can follow any responses to this entry through the RSS 2.0 feed. You can skip to the end and leave a response. Pinging is currently not allowed. « Comedy Central Adds New Series ‘Drunk History’ To Their Lineup!!! Can you believe this guy? I'm trying to get something to eat and he's asking me if I got the clap.